 Parts Field Representative. As a lover of all things automotive, he instantly took to the Suzuki Way Life thanks to the Swift Sport. Having been actively involved in the Dealership sales space allowed him to understand the brand, its inner workings as well as understanding why people are so passionate about Suzuki. Chazlin began his career in 2006 as a Sales Executive and was promoted recently to SASA’s Parts and Accessories Field Representative. Guru on all things pimped cars, he loves the Suzuki loves to pimp out Suzukis using OEM accessories. Chazlin became the unofficial customising specialist at Suzuki. This was seen via “The_Purp”, a Mysterious Violet Swift 1.2 GL that was reworked to have more appeal to the younger market, as well as showcase the brand potential to the world of customising. The_Purp had a host of OEM accessories inside and out, a mid level Alpine Audio system, 17 inch Alloys and a full Airlift Suspension. Chazlin’s ultimate test came when the official go-ahead for Project Vxder was given, giving him a mere 24 days to build a one of a kind AWD Vitara. The challenge brought a variety of teams together on one tight timeline under his supervision. The list of mods included OEM Front and Rear Valance, 18 inch Kizashi Alloy Wheels, Full Matte Black Body Wrap, Full Alpine Audio System, Full Airlift Suspension and a few other tricks. With hours to spare the build was pulled off and successfully unveiled at the 2017 Festival of Motoring. 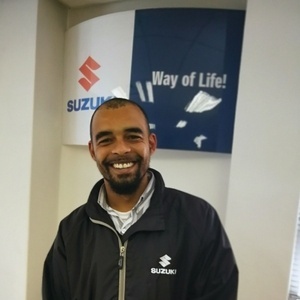 Chazlin has since moved to the Parts Division at Suzuki as a Parts Field Representative. “Kind of like a kid in a candy store” he says, looking at the parts warehouse where all the OEM goodies are stored and ready for dispatch. Here he looks at parts and accessory development for new and current models as well supports the ever growing fleet dept at Suzuki. “I’m looking forward to the exciting times that lie ahead for Suzuki in South Africa and I believe I have a lot to offer my new team members” he says. Hitting the road for the holidays? Here’s a list of games you’ll want to pack, for hours of fun and laughter.